Spring has finally arrived even while most of us wondered for the longest time if mother nature had completely forgotten about us. Spring usually brings the feeling of renewal and freshness as we let go of the long heavy months of winter. Let’s begin to breakdown the process of getting the checklist crossed off with the TLC to-do-list our homes need so that we can sit back and enjoy the spring and summer with no further work on the agenda. As super exciting as it is when that first warm sun and heat arrives and our first intentions to get the spring cleaning started with the usual window cleaning, pulling out the patio furniture and barbeques, there are important things we all need to do to ensure our homes get the best TLC and then we can sit back and enjoy the warm season without the worries. We pretty much have to work in reverse from the Fall and Winter Checklist . 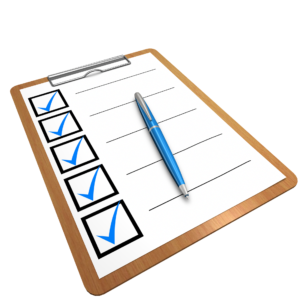 Here are tips on what you can do to check off all the boxes as done on your home maintenance checklist for the spring and summer. 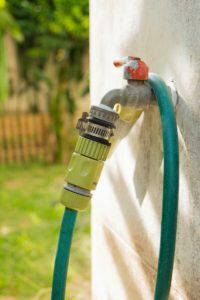 Get the garden hoses ready by re-attaching them to the outdoor water faucets. Remember to turn on the outdoor faucets from inside of your house. If you did your fall home maintenance they would have been turned off to protect pipes in your home from freezing. If you didn’t clean out the gutter, eavestroughs and water spouts in the fall, then make sure you do it now that it’s spring. There will be debris left behind from the fall leaves and while you are up there make sure to give the roof a once over look to make sure no damage was caused from any water backup due to the clogged arteries of the eavestroughing. Caulking the gaps on the exterior of the home is good maintenance practice and will give the seal you need to keep the critters out. Take a look at the trees, shrubs and bushes on your property. Sometimes our harsh winters will cause enough damage to them and some may have to be completely removed. If they are not damaged, just make sure you give them the proper cut back to give them the opportunity to grow and flourish through the spring and summer. Pruning them gives them a fresh start. When taking that walk around the exterior of your house look for the signs of any damage to the roof, siding or foundation and if there are noticeable damages that require repairing consider getting those done first. It will probably take you hiring a professional service. This is also the perfect time to look at the exterior paint on your house. After a few harsh winter months perhaps the paint has begun to show signs of wear and needs to be refreshed. Spring is the perfect time to give the exterior of your house a fresh new look with paint. 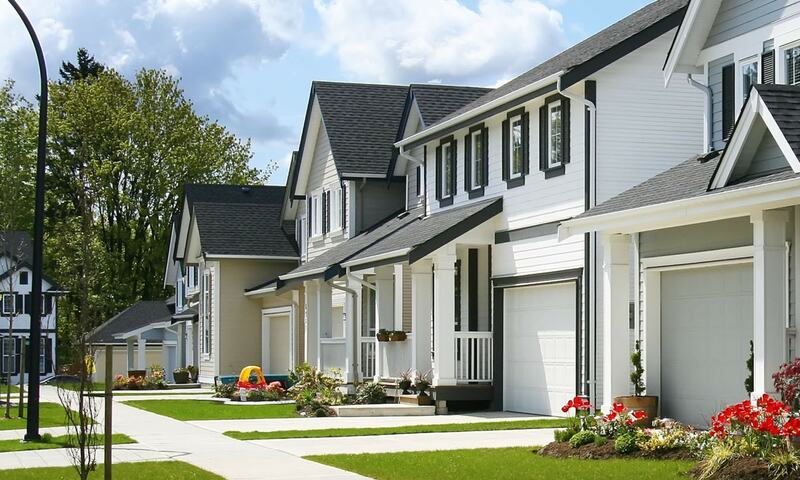 Painting your home’s exterior is good practice in home maintenance. Check with a painter to see if any maintenance, repair or repainting is required. 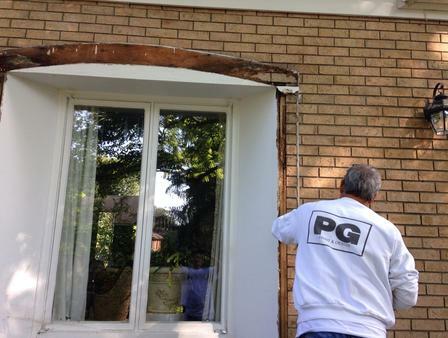 Replace any old, broken or ripped weatherstripping around the frames of the windows and doors. This is the perfect way to keep the heat and humidity out of the home, and make it energy efficient. Get the air conditioner ready by making sure you remove the protective cover you installed in the fall. A regular A/C unit on the outside of your house may need a check up before you turn it on. Make sure it’s ready to go by calling in a Furnace and Air Conditioning company that will ensure everything will run properly. You don’t want to find out it’s not when our temperatures are soaring and the heat is unbearable. It’s always a good idea to get an annual maintenance check whether it’s in the spring or fall to make sure the equipment is always running properly. Give the fireplace a good cleaning. Remove any old remnants of ashes left behind from the cozy fires you enjoyed over the winter. If you have a gas fireplace they too should be included in the Furnace and Air conditioning maintenance check. Calling in the experts will ensure that the chimney is cleaned of built up soot, and they can make sure the chimney top is capped to prevent squirrels, birds and raccoons from being able to enter the home. A good chimney cleaning ensures your safety and prevents a fire hazard for next year’s winter months. Check your batteries. You and your family’s safety depends on it. Every spring you should make it a point to install new batteries in your smoke alarm and carbon monoxide detectors. An easy way to remember is to just mark it on a calendar. Whether it’s the one on your phone or the one on the fridge, it’s a simple and easy reminder that could save a life. Make sure you also check any fire extinguishers expiry date, and replace with new ones. Spring brings with it fresh air, let’s make sure it’s a safe one by ensuring our homes air quality is safe from radon. Since spring and summer give us that feeling of re-energized breath of fresh air and renewal, why not add painting the house to your to-do list. 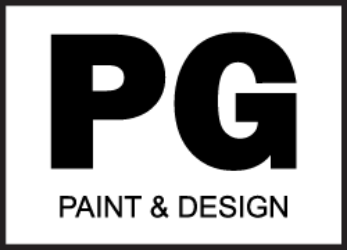 In fact if you consider painting in the spring that really frees up your summer to enjoy the beauty of the fresh paint and any new colours you may choose to give it a fresh new look. Add a splash of colour into the home after a long dreary winter by painting. Did you know that by changing a paint colour can be a mood booster and there is a scientific reason to the psychology of the colours we choose. Colours affect our mood and our personality shines through when we pick the ones that suit us best. It’s also the perfect time of year to let the fresh air in. It provides the perfect circulation throughout the home while painting and helps to rid of any smells faster. Most of today’s paints are safe in the home any time of year. 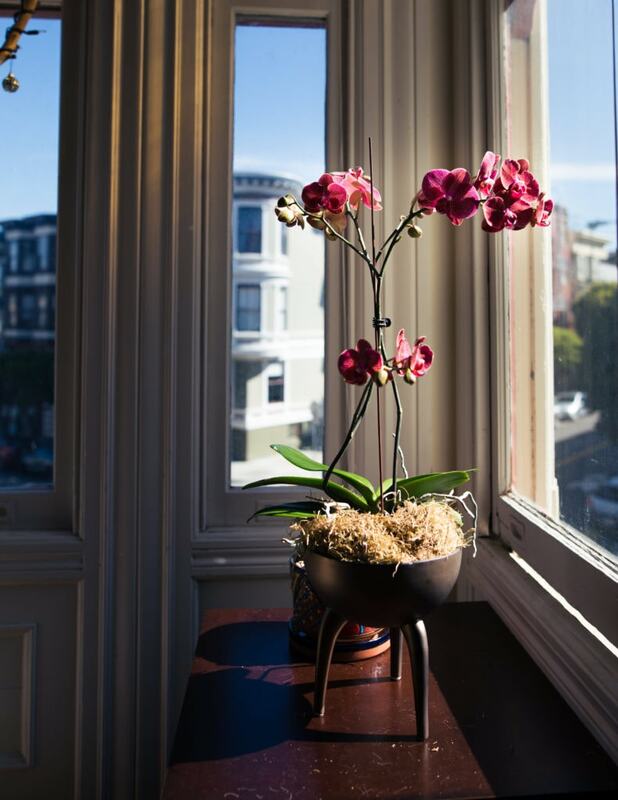 Traditionally spring is also the perfect time to buy or sell a house. Painting it can increase the home’s value whether you are selling or buying. If you are buying your first place then personalize it new paint colours. 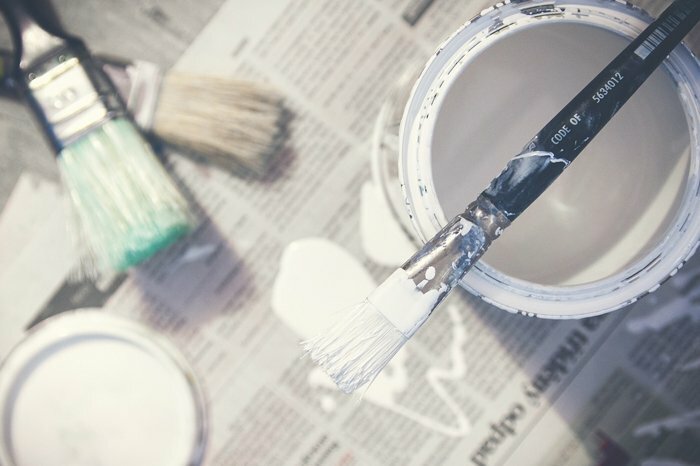 Need more reasons on why painting can be the ultimate spring cleaning, here are a few more for both interior and exterior. Other than the simple reasons of it changing up the entire home decor, brings a new fresh look and adds a modern feel here are 5 more reasons why painting the interior of your house is the perfect way to start the spring and summer seasons. If it’s been several years, perhaps a change is well over due. Simply giving your space a fresh new coat of paint will bring back the lustre to your home and help maintain it’s beauty. With all the other spring and summer chores to do or already done then painting the interior gives the whole house a fresh clean smell and look. You want to put your house up for sale and the real-estate agent has advised you to paint the house in neutral colours so that it may appeal to the new buyers. It can help to get it sold faster. If your moving into to your new place, then having it professionally painted before moving in, gives you a few years of maintenance free living, and one less thing to do before moving in. Free up your time before the busy of summer begins with the gatherings of friends and family for lazy hazy days of bbq’s and conversations. Now is the time to schedule to get your house painted. Getting the exterior painting done in advance gives you the opportunity to enjoy the rest of the summer and be the envy of the neighborhood. There’s no time like April, May and June to get started on the exterior painting of your home. If our Ottawa weather permits it, April and May are great months to get it done in advance of our short summers. Here are few reasons why we feel it’s important. There is no better time than April, May and June to get started on the painting of the exterior. It’s the perfect weather for the paint as well as the painters. Paint adheres better, lasts longer and the painter doesn’t have to work in the extreme heat and humidity. It’s safer for everyone to be painting in cooler temperatures. There are less paint problems when painting in ideal temperatures in the spring. Summers can be to hot and humid. It will also provide a protective barrier from moisture and the outdoor elements. Painting the exterior of your home in the Spring will increase your home’s resale value. It will definitely add curb appeal for both yourself and the potential buyer. Spring is that time of year that is busiest for those actively looking to purchase a new home. Impress everyone including the neighbors and prove to all that you give your home all the TLC. A fresh coat of exterior paint to the front door, garage, windows, etc. will be proof that your home is well maintained. By scheduling your exterior house painting services early you will have more time to sit back and enjoy the lazy days of summer, especially since our Canadian summers are too short to begin with. Make the time now to book an estimate before the busy months of summer begin. When Summer finally does arrive you will be the happiest homeowner on the block, since all your spring cleaning chores are done. 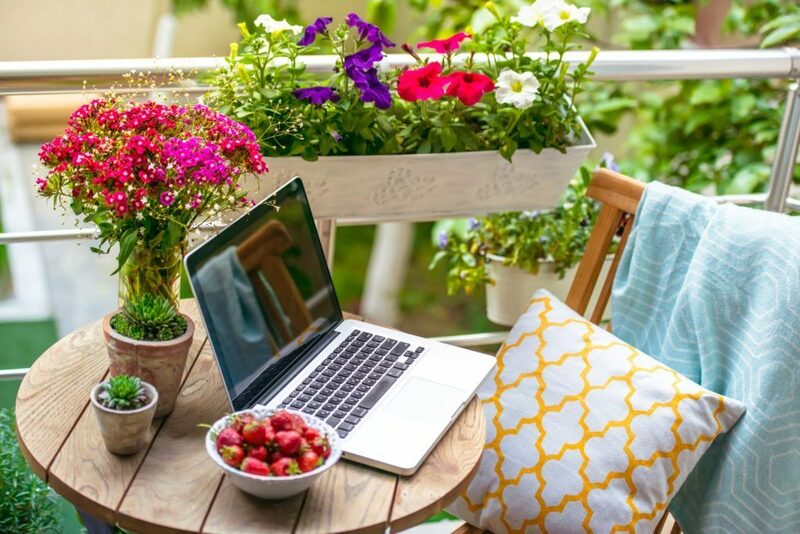 With all there is to do to get our homes ready for the summer we hope this list has provided you with a few ideas and tips on what you need to check off that maintenance list. Related articles on maintaining the exterior paint on your house. 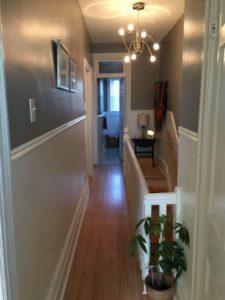 Learn more about our house painting services in Ottawa by visiting our website and schedule your estimate today! With spring and summer finally here don’t forget to enjoy some beautiful walks and bike rides around Ottawa. Get out to Dow’s Lake, Hog’s Back, Rockcliffe Park, and all the other beautiful things to do in Ottawa and enjoy.